Happy 5th Birthday Planes, Trains & Running Shoes! Five years ago I opened up this little corner of the internet. I was 23, fresh out of college and living in Boston. The Pilot was my boyfriend of 4 months. I had never run a race before. I posted a list of 25 things I wanted to do before I turned 25. I didn't do 10 of them. Some of them (like horseback riding and learning French) are still on my list. Others (like swimming with dolphins and doing a triathlon) aren't anymore. Through this blog, I found my passion for running. When I started this blog, I started training for my first half-marathon. I was immediately connected with the amazing running community in the blogging world. 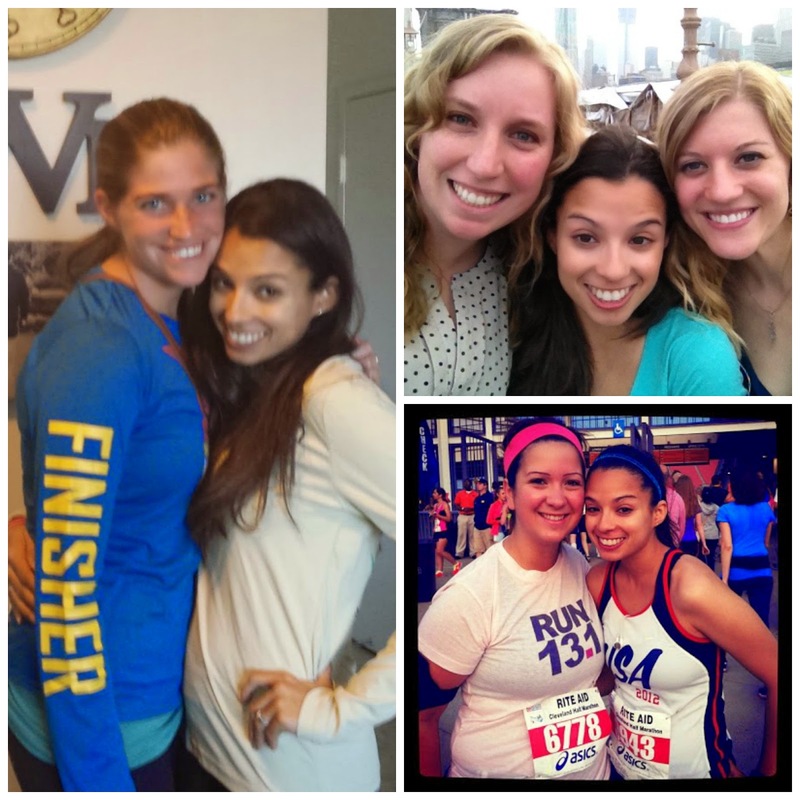 To this day, my closest running friends are all bloggers. With the exception of one person, everyone I know who runs is someone I've met through my blog, either directly or indirectly. Those people are some of my closest friends. Some of them were at my wedding. I see them regularly. We talk, we text, we snail mail. We've met each others families and have seen each other's houses. The idea that we met them through our blogs is so foreign now. Some of them still blog, some of them don't. We're still friends. They're people who are incredibly important to me and I never would have met them if I hadn't started this blog. Writing this blog has also taught me to apply a filter a little bit more closely. There are some things that we just don't blog about. Learning, and remembering, to apply that filter to my blog has helped me apply it in my personal life as well as my professional life. I love writing. It doesn't matter what I'm writing about, I adore it. It's obviously easy to write about yourself, but my new job that I started two months ago? Writer. Five years ago, when I started this blog, I don't think I ever would have started a career as a writer, but here I am...and I love it. This blog has also taught me about balance. In reading other blogs and getting motivated to work out and train and eat right, I've learned how other people balance work and family life and marathon training and healthy eating...and I've applied it to my own life. The idea of having kids one day and trying to figure out how to "do it all" isn't scary to me anymore because so many other women do it. I never thought I would blog for this long. I started this blog out of boredom. I never really knew what it would turn into, yet, here I am...five years later and I couldn't be happier. To all of you who follow my little adventures, I appreciate you more than I can say. Thank you for reading, for commenting, and for supporting me. So, here's to five years of blogging, and to whatever future might be in store! I remember when you started your blog and your list of 25 things to do before you turned 25!! Time has seriously flown by so fast. I am so glad we've stayed close despite living all over the place, and I love what you have created here!! Awww happy 5th anniversary!! Love reading your blog. Happy five years to you and your blog. The relationships we can form because of blogging is incredible, right? So awesome blogging helped you find your passion for writing and running. It's been fun watching and reading along. I am so thankful that blogging has connected us!! I love your blog and am glad you are still blogging :) Thanks for all the inspiration and encouragement you've provided, whether you knew it or not. You're awesome!!! Happy 5 years!!! Aww, I remember when I started reading, it was 25 Before 25! I loved the idea, but I love even more how your blog has expanded since then. :) Congrats on 5 years! That's awesome!